That's because the transit landscape is a lot different than it was 40 years ago. As Brendan Conway, spokesman for the Milwaukee County Transit System, says: "we have rideshares, and bike shares, and people walk and there are more livable cities, but yet our transit system hasn’t kept up with the times." He says that’s why they’re engaging in the first system-wide evaluation of the transit system in decades. Currently, the system provides 35 to 40 million rides a year. That represents a lot of people who rely on transit. 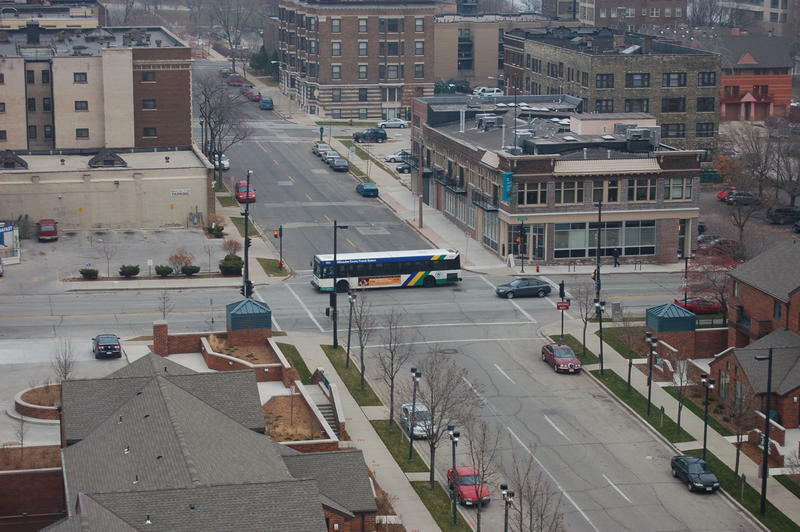 MCTS is currently going through data from 5500 bus stops and 60 bus routes tracking ridership – where people are getting on and getting off. And Conway says there’s one thing he and his colleagues consistently hear from bus riders. "You ask any transit rider, what do they want? Frequency. They want that bus to come more often. If they can walk out and catch that bus then they’re more likely to ride it, they’re more likely to count on it." He says that right now, MCTS has about 10 high frequency routes, and they’re looking to increase that to about 16. But, according to Conway, the undertaking goes beyond making buses more frequent. It’s also about re-designing routes and giving them logical names. For example, he says, currently route 67 runs on 76th street, and route 76 runs on 67th street. Conway says it’s likely MCTS Next will reverse that. 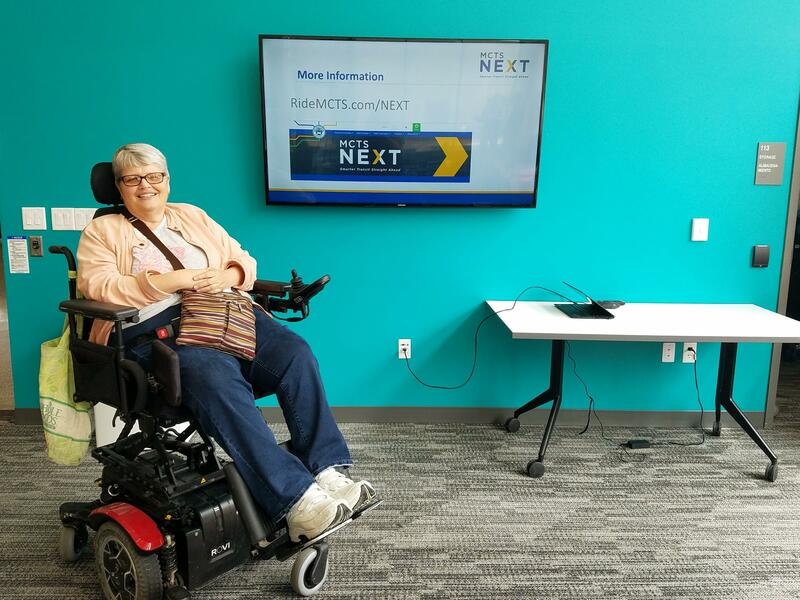 MCTS plans more of these information sessions to reach people like Koss and get their input. Kurt Roskopf appreciates the effort. He says he does a lot of community service and volunteering across Milwaukee County. He says the info sessions are a step in the right direction, and he hopes there will be outreach to non-profits that work with people with disabilities. "You know we can think about how we’re doing reaching the agencies that serve people with disabilities, the non-profit groups. It’s tough for MCTS Next to take that on, so really what I’m looking at is we need a better way to have community organization around opportunities like this." 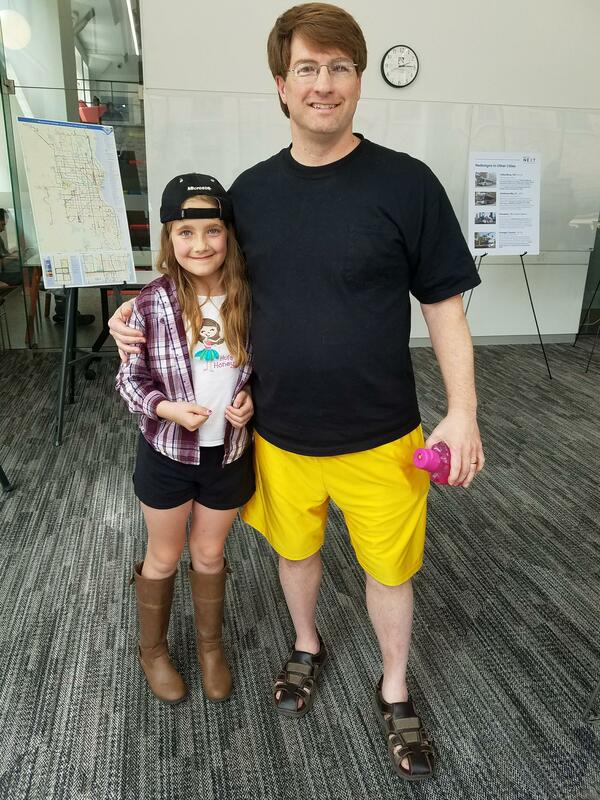 Kurt Roskopf with his daughter at an MCTS informational session. MCTS Spokesman Conway says that MCTS will come speak with any group who requests them. He says this means creating all new route signs, putting up temporary signs with the old routes. Then in one night, transit teams would go to every bus stop and take down all the temporary signs. Milwaukee County isn’t getting any extra funding to complete the project, says County Executive Chris Abele. "It’s more an exercise in providing as much service as effectively as we can with the budget we’ve got," he says. He says Milwaukee county gets about the same amount of transit funding from the state as it did in 2009. In order to keep fare raises to the minimum, he says the county has been diverting more local tax dollars to transit. He says if the initiative can improve its service in frequently used corridors and ridership goes up, MCTS Next will increase revenue and be more sustainable. MCTS will need county board approval of the redesign, which is anticipated to be in the final stages in 2019, before the 2020 budget. 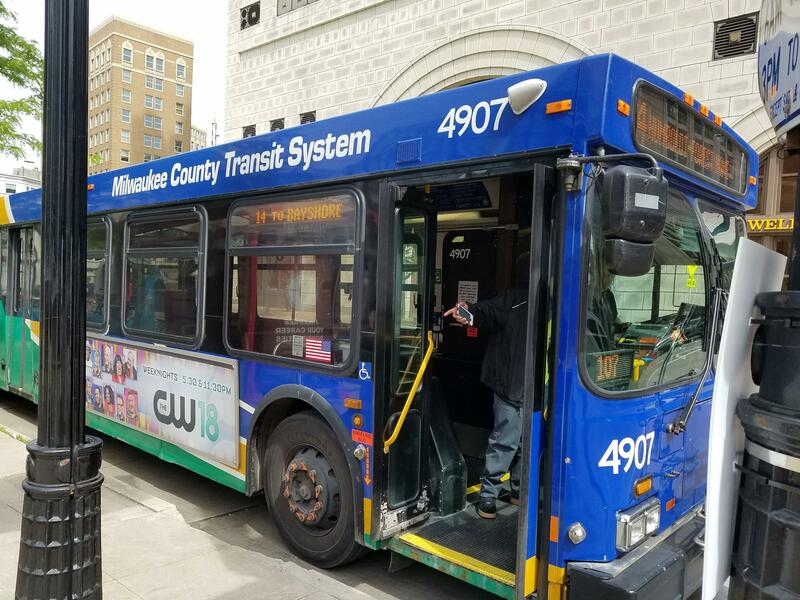 Advocacy groups and some Milwaukee residents who work in the suburbs are trying to save two Milwaukee County Transit System bus routes, known as the JobLines. The funding source for the routes is set to dry up at the end of the year. Starting February 29, Milwaukee County Transit System passengers will no longer be able to purchase paper tickets. From then on, bus rides can only be bought with cash or M-Cards, reloadable electronic smart cards. M-Cards have been available for sometime, but now Milwaukee is following the lead of other cities across the country in eliminating paper tickets. According to MCTS spokesman Brendon Conway, M-Cards will make life easier for riders and the transit system alike.